Are health care stocks the perfect cure for the sick portfolio? Death, taxes, and the lengths to which we will go to avoid either: three things of which we can be reasonably certain in this increasingly uncertain world. Such wisdom accounts for the ongoing popularity of, among other things, organized religion and offshore tax havens. It also goes a long way to explaining why health care may be the best investment idea of all time. Stop me if you’ve heard this one before: We are getting older. Not just individually, but as a society. Average life expectancy in developed countries has been rising steadily over the past several decades; here in Canada, a child born today can now expect to live 81 years, up from 71 years 50 years ago. Worldwide, there are currently 810 million individuals over the age of 60, more than in any other time in history. By 2050, that number is expected to reach close to two billion. While seniors may be less willing to shell out for video games, a new pair of kicks, or the latest magnum opus from Katy Perry, they are more than willing to ante up for prescription drugs, artificial joints, and the professional care that soothes our later years. Short of quitting your day job and becoming a doctor, a pharmacist, or a chiropractor, putting some of your money into one of the companies in the business of providing products and services to a rapidly-aging population could be the best financial move you’ll ever make. If that’s not enough to get your financial curiosity piqued, consider this: traditionally, the heath care sector has been one of the best places to put your cash in times of stock market turmoil—the idea being that people will still reach for two Aspirin capsules when they have a headache, without checking what the economy is doing first. Such anecdotes are borne out by the numbers. Since October of 2007 (i.e., before the onset of the Great Recession), the S&P Developed-Nation Healthcare Index has returned an average 5.16 per cent a year. Compare that to the 1.24 per cent offered by the broad-market S&P 500 over the same time frame. When the rest of the market is falling apart, it seems that old drugstore on the corner is a pretty good place to put your life savings. Of course, no investment is without risk. And over the past several years, there has been plenty of it in the health care sector. 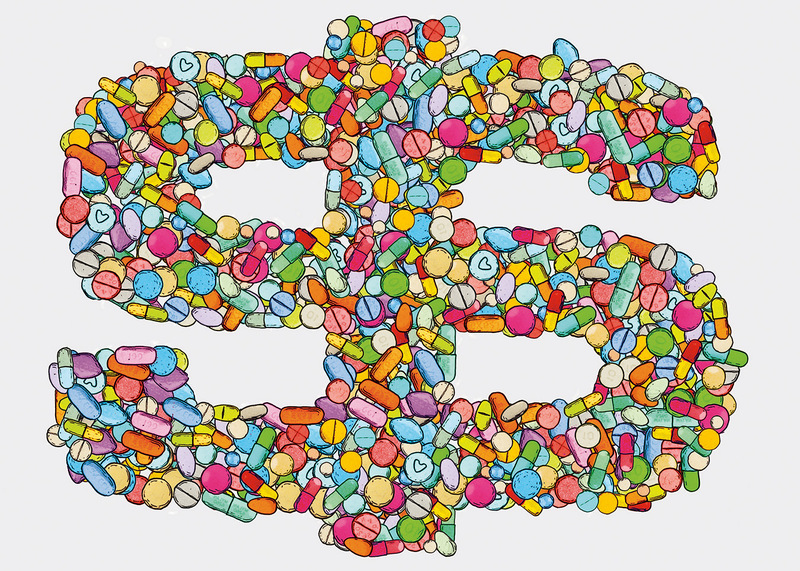 Pharmaceutical manufacturers have had to deal with the prospect of a number of blockbuster drugs coming off patent in the near future; whether new molecules will provide a replacement for those revenues remains to be seen. Medical device firms, traditionally some of the most reliable performers in the health care sector, have had product recalls and production problems. Insurance companies, hospitals, and other service providers have suffered through the ongoing political rancour surrounding the passing of “Obamacare” south of the border. And so we come to the $64,000 question: Will a rapidly-aging population carry the healthcare industry to bigger and better things? Or will the issues experienced over the past few years keep the sector from reaching its full potential? Are health care stocks the perfect prescription for what ails your portfolio? Or are they simply one more example of the snake oil that Wall Street likes to sell? Analyst David Shove has seen a lot of change in the health care industry over the past 20 years. Shove got his start in the industry with insurance, working as a consultant and then managing director at several large United States-based providers. He then made the switch to the financial side of the business, analyzing and evaluating the balance sheets of the companies he used to work for. He’s now a senior health care services analyst at BMO’s New York office.